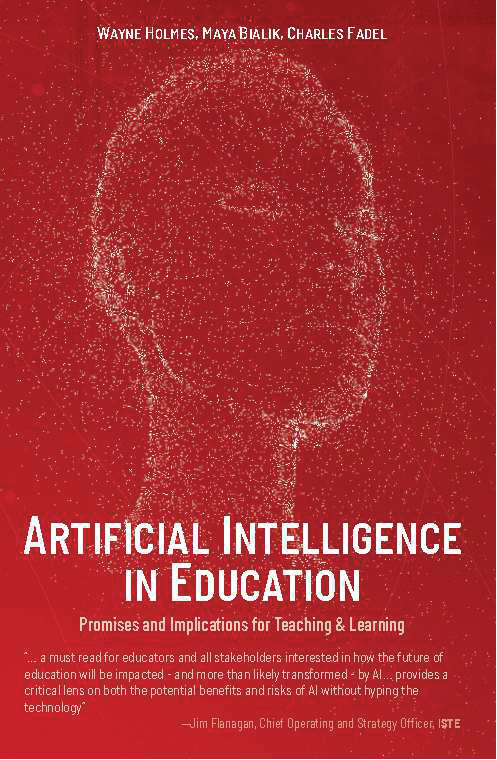 What will education look like as it is transformed by AI? The landscape for education has been rapidly changing in the last years: demographic changes affecting the makeup of families, multiple school options available to children, wealth disparities, the global economy demanding new skills from workers, and continued breakthroughs in technology are some of the factors impacting education. Given these changes, how can education continue to prepare students for the future and increase its relevance? The emergence of Artificial Intelligence (AI) has exacerbated the need to have these conversations. Its impact on education and the multiple possibilities that it offers are putting pressure on educational leaders to reformulate the “What” (school curriculum) and the “How” (channels to deliver it). Whittle School & Studios is pleased to announce a partnership with the Center for Curriculum Redesign (CCR) to develop teaching programs for its international campuses. CCR was selected because of its breadth of knowledge of global education and its expertise in best practice, with ideas drawn from around the world. The announcement follows in-depth scrutiny by Whittle School & Studios of more than 20 educational curricula. The partnership has been formed as Whittle prepares for the opening of its first campuses in Washington DC and Shenzhen, China, in September 2019. CCR’s framework for curriculum design emphasizes the four dimensions of knowledge, skills, character, and meta–learning. Whittle School & Studios intends to deliver education that is truly global, tailored to the individual and fit for the innovation age. Providing the most up-to-date, rapidly evolving, real-world-centric curriculum by modernizing Knowledge and emphasizing essential content and core concepts, with an eye towards both expertise/mastery and transfer. Explicitly embedding “21st century skills” and social/emotional learning via the CCR’s Four-Dimensional Education Framework. Through instruction and experience, students develop skills, character and meta-learning abilities such as: creativity, critical thinking, communication, collaboration, mindfulness, curiosity, courage, resilience, ethics, leadership, metacognition and growth mindset. Whittle’s mission is to modernize education by creating a global school in multiple international cities serving children from age three to 18. Campuses are designed by Renzo Piano Building Workshop, with faculty drawn from top-tier schools and universities. Whittle School & Studios intends to create the world’s first truly modern school serving students from age 3 to 18, with a global network of high-end private school campuses. Founded by Chris Whittle, an early leader of the charter school movement in the US, the school is forming local partnerships in over 30 major cities around the world. Whittle School & Studios will bring together renowned educators to provide a world-class education for its students, one that is personalized, prepares students for the future, and enables unique global exchange experiences. The Center for Curriculum Redesign (CCR) is pleased to announce it has received a grant from The Harold Alfond® Foundation for a Computer Science pilot program at Waterville Senior High School. The pilot program furthers the Waterville Senior High School curriculum by providing students with Computer Science skills and experiences for success in an industry that is the number one source* of all new wages in the U.S. The Foundation’s grant funds will support the design of a one-credit elective, named Cyber Panthers, that introduces students to the breadth of Computer Science and provides opportunities for students to develop career paths within the field. Additionally, all students will have opportunities for internships and interaction with a variety of partners from industry, higher education and successful local organizations supporting the program. • Providing the most up-to-date, rapidly evolving, real-world-centric, employer-vetted curriculum. Computer Science topics that will be covered during the course include: game development and design, apps development, augmented and virtual reality, blockchain and cyber security, and more. • Encompassing entrepreneurship-driven, project-based approaches. • Embedding CCR’s Four-Dimensional Education framework (aka “21st century skills” and social/emotional learning) into the Computer Science curriculum. Through instruction and experience, students develop skills, character, and meta-learning abilities. The pilot, which was voted on unanimously by both the Waterville Curriculum Committee and the Waterville School board, will begin in August 2019 for incoming freshman students. The Harold Alfond® Foundation’s mission focuses on furthering the legacy of philanthropist Harold Alfond by investing in education, health care, youth development, and other charitable causes that hold the promise of making enduring, transformative contributions to the community and state of Maine. The CCR is a non-profit global organization dedicated to improving education and openly propagating its recommendations and frameworks on a worldwide basis, via answering this question: “What should students learn for the 21st Century?”. The CCR brings together international organizations, jurisdictions, academic institutions, corporations, and non-profit organizations including foundations. For more information about the program, please visit WatervilleCyberPanthers.com or contact the CCR at info@curriculumredesign.org. What makes the Waterville Sr. High School Computer Science Program Unique? The course will encompass a broad curriculum not limited to just coding, but also computational thinking, artificial intelligence, and IT devices. It will also focus on real-world applications such as gaming and app development, augmented and virtual reality, cyber security and blockchain, and even applications in the Humanities and Arts, making the program more relevant and interesting to any student. The course will be frequently updated to remain state-of-the-art in a rapidly changing technology, particularly about Artificial Intelligence. The course builds “Identity, Agency and Purpose” as a condition to learning for students. These qualities are developed by our partners such as: JMG, CGI, Waterville Senior High School, and the Harold Alfond Foundation. Embedded throughout the curriculum is a comprehensive and deliberate development of skills, character, and meta-learning – the components of a 21st century education “four-dimensional” framework that provides students the knowledge and competencies needed to thrive in today’s (and tomorrow’s) world. By the third and fourth year of the program, Entrepreneurship will be included as a component of the program, providing students an additional expertise to nurture their talents to create opportunities after they leave high school. The program is designed to incorporate projects and career path exploration. Local employers will support the program through job shadowing, internships, and mentoring to further instill material relevance and potential for career development. The Center for Curriculum Redesign (CCR) is pleased to announce it has received a substantial personal grant from Ray Stata, founder and chairman of Analog Devices (ADI), and philanthropist behind MIT’s Stata Center. Charles Fadel, founder of the CCR, stated: “This is a major inflection point for the CCR. The work we have done for OECD’s PISA 2021 and Australia’s ACARA is blossoming into a demonstrator module that brings together modernized knowledge – content and concepts -, skills, character and meta-learning into a single cohesive implementation. The design will allow both self-paced students and teacher professional development and classroom support, while demonstrating multiple pedagogical approaches”. Charles also added: “This is also a deep pleasure for me very personally. Ray has been my inspiration to devote my second career to Education, while I was working for him at Analog Devices during the nineties. I have dedicated my first book, “21st Century Skills”, to him”. The Center for Curriculum Redesign (CCR) is pleased to announce ACT has joined the Assessment Research Consortium, a division of CCR. The Assessment Research Consortium (ARC) is strategically partnering with international and national organizations, corporations and jurisdictions which focus on the global expansion and implementation of 21st Century Skills and Social-Emotional Learning assessments and tools. The Assessment Research Consortium is a collaborative entity – a “pre-competitive Research & Development consortium” modeled after industry’s similar endeavors. Its goal is to redesign systems of measuring Learners’ progress, aligned to 21st century competencies and desired education outcomes. Leaders from governments, the private sector, academia, and nonprofit organizations are members of the consortium, which collectively oversees key research projects to define “assessments for and as learning” across the four dimensions of: Knowledge, Skills, Character, and Meta-Learning (comprehensively described in CCR’s “Four-Dimensional Education“). Some of the Consortium’s present members include the National Association of Independent Schools (NAIS), the Enrollment Management Association (EMA) and the New Zealand Qualifications Authority (NZQA). The EdHub is the innovation unit within the NECT with an explicit mandate to promote and support innovation in education. It aims to coordinate innovation for 21st Century education so that it can impact, at scale, the public basic education system in South Africa and ultimately improve education outcomes and quality of life for all. A recently initiated channel within the EdHub is the establishment of the ‘21st Century Schools Sandbox’ initiative that intends to set up a laboratory for 21st Century schooling models in the public sector, where various innovative models for teaching and learning can be trialled. Through the implementation of this project, a body of evidence will be gathered to assist in proving the case for the integration of 21st Century teaching and learning practices into the South African public schooling system. Godwin Khosa, CEO of the NECT, stated: “The CCR/NECT Partnership is ambitious yet practical, as we are playing in the transformation and not the improvement space; but we will keep focused on trialling and testing while feeding key findings into the basic education sector throughout the process”. Charles Fadel, founder of the CCR, added: “We are delighted to advise and assist the NECT with its Edhub/Sandbox initiatives to serve as a model for South African schools. The attachment to 21st Century Competencies of Skills, Character and Meta-Learning is both refreshing and leading edge”. The NECT is an organisation dedicated to strengthening partnerships between government, business, labour and civil society to achieve South Africa’s national goals for basic education – as detailed in Chapter 9 of the National Development Plan 2030. It strives both to support and influence the agenda to reform education through a variety of capacity-building interventions, monitoring and evaluation, research, and advocacy. With cross-sectoral governance spanning government, business, labour & civil society, the NECT is uniquely positioned to identify, enable and fast-track change in the basic education system. The CCR is a non-profit global organization dedicated to improving Education and openly propagating its recommendations and frameworks on a worldwide basis, via answering this question: “What should students learn for the 21st Century?”. The CCR brings together international organizations, jurisdictions, academic institutions, corporations, and non-profit organizations including foundations. It focuses on designing and propagating new curricula and assessments. The Center for Curriculum Redesign (CCR) has announced a partnership with Somos Educação, the largest basic education group in Latin America, for the development of 21st century competencies in its curriculum – which reaches over 30 million students in Brazil. Charles Fadel, founder of the Center for Curriculum Redesign (CCR), added: “In Somos, CCR has found a leading-edge, open-minded and progressive partner that understands that our four-dimensional (“4-D”) framework, available in 16 languages including Portuguese, is versatile and adaptable as well as detailed and actionable. We are delighted to be helping the BNCC and Somos comprehensively assist teachers and students to learn at their fullest”. Both organizations expect that by September 2018 they will introduce the first instances of the free curriculum on the platform, to test with teachers and students. The Center for Curriculum Redesign (CCR) has partnered with the Australian Curriculum, Assessment and Reporting Authority (ACARA) to design a world-class mathematics curriculum for schools K-12 that explicitly addresses the learning needs of students for life and work in the 21st century. CCR is leading maths experts and practitioners from Australia, the US and around the world to develop an exemplar world-class mathematics curriculum that any country could use to inform their own curriculum design. This is particularly timely as the OECD has embarked on deepening its Mathematics PISA 2021 assessment. “This is a world first”, said Charles Fadel, founder of the CCR. “We are taking the Australian Curriculum in Mathematics as a starting point because our international analysis shows it is already one of the best curricula worldwide. And we are now applying learnings from recent innovations in curriculum design and professional practice to ensure we modernize the content of mathematics, while also bringing in concepts, interdisciplinary learning and competencies (skills, character, meta-learning)”. “ACARA is pleased to be working with the CCR on this ground-breaking project”, said Robert Randall, CEO of ACARA. “We have a mandate to assemble evidence for reviewing, designing and refining the Australian Curriculum. This joint project with the CCR will be used to inform any future refinement of the existing Australian Curriculum in Mathematics and to help guide improvements to ACARA’s overall curriculum design and development process”. Andreas Schleicher, director of the OECD’s Education and Skills directorate, stated “PISA 2021 will incorporate several new features: more focus on essential and relevant subjects and topics such as exponentials, emphasis on modern branches such as statistics/probabilities, and explicit attention to 21st-century competencies such as reasoning, computational thinking, and resilience. I commend the CCR, our partner in Mathematics for the past 5 years, for leading this endeavor with a world-leading authority such as ACARA”. The project draws on evidence collected and agreed on as part of the PISA Mathematics 2021 project, which CCR advised, including conferences in 2013 in Stockholm and in 2018 in Geneva. “It is now internationally recognized that the school curriculum needs to allow more time for deeper learning of discipline-specific content and 21st century competencies. In order to do that we need to selectively curate (add, emphasize, de-emphasize or remove) curriculum content so that the core concepts and essential content are focused on, that will best prepare students for life and work in our changing world” said Charles Fadel. The Fondation Helvetica Educatio (CCR’s sister foundation) hosted its “21st Century Mathematics” conference on May 25, 2018 in Geneva, Switzerland, which attracted numerous influential delegates from over twenty countries. It was the positive conclusion of a four-year effort started with the Stockholm conference on Mathematics. CCR’s recommendations for PISA Maths 2021 can be downloaded here. The CCR is grateful to the OECD for their continued partnership, as well as to the Jacobs Foundation, Gebert Ruf Stiftung, Dudley Wright Foundation, Swissnex, the International School of Geneva, and the Moser Foundation (Geneva, Switzerland) for their generous support. singular psychomotor skills have a linear progression from unconscious incompetence to unconscious competence, that is independent of their combination with additional skills or transfer to new situations, which can also have their own developmental progressions. Two essential psychomotor skills that transcend fields emerged- coordination and adaptation (aka transfer)​. These are referred to as “meta-motor” abilities because they can be applied to any psychomotor skill, transcending typical subject- and/or occupation-bound categorizations. CCR is grateful to Area9 Learning for their support of this paper. © Center for Curriculum Redesign – All Rights Reserved.